The Chelsea Late is an exclusive event that gives you the opportunity to enter the showground from 5.30pm onwards on the Friday of the show. 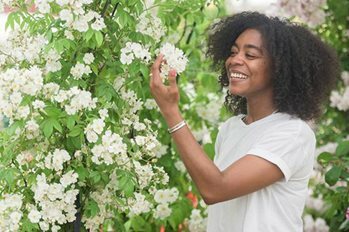 You can discover everything that the RHS Chelsea Flower Show 2019 has to offer and, once the gates close at 8pm, you can explore the Ranelagh Gardens in a twilight setting. Enjoy a stroll through the Ranelagh Gardens as the sun goes down and see the Artisan Gardens in a new light. Take it all in while sipping on a bespoke Chelsea Flower Show botanical cocktail. There'll be an array of floral demonstrations and free workshops during the evening, giving you the opportunity to learn new skills and take a little bit of Chelsea home. Tasty nibbles will be available at the Artisan Food Market, which you can indulge in at your leisure. Providing the soundtrack to your evening with be Ronnie Scott’s Big Band, fronted by jazz great, Iain Mackenzie, to celebrate their 60th anniversary. With quality plants, garden and homeware items available, the Chelsea Late provides the perfect opportunity to indulge in a little retail therapy, all in the glamour of the world's most famous flower show. Don't miss out - book your tickets today.